We developed a highly flexible and scalable, patented and clinically proven platform to assist in preventing, managing and reversing Chronic, Mental and Severe Illnesses. The focal point is optimzing your nervous system. An important enabler is our Personalized Stress Reduction and Focus Enhancement Engine. Our Personalized Neuro Digital Medicine Platform collects, measures, tracks & monitors health related data, and then delivers treatments, leveraging among other tools our award winning and patented stress reducing technology. Our platform is addressing a wealth of health conditions, with the underlying understanding that optimzed brain function is the driver of healthy lifestyle. Using our stress reducing solution, published results show a reduction of 18% reduction in A1c and lost more than 4% of their body weight within 8 weeks of using the platform. On average, users with high stress levels are reducing their stress level by more than 20% within 3 minutes of using the engine, probably the most rapid way of addressing stress. More than 80% of the users documents significant ongoing stress reduction within days. With the user’s permission – data, insights & treatment plans are shared in real-time with medical providers or our own coaches. Built for remote health, health professionals can adjust & deliver treatment at any time with a few finger taps. A ground breaking solution to treat Chronic Stress & Anxiety. The app measures stress and lowers it in five minutes a day. 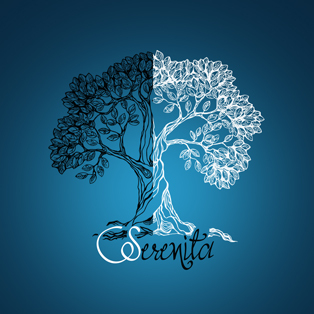 Serenita is also part of all NewMe applications. This mobile & web-based solution is designed to help managing diabetes and other chronic diseases. NewMe™ empowers patients to take ownership of their health and allows medical providers to monitor and deliver treatment in real-time.